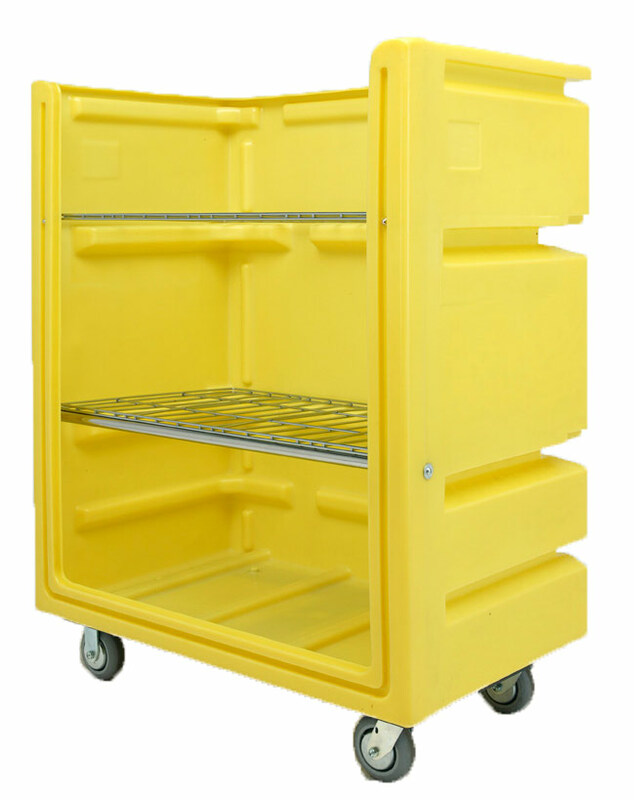 Comes with open top and two removable, repositionable wire shelves. (Option for hinged shelves available to avoid misplacing shelves). Comes standard with plastic (polyethylene) base. Choice of many colors and options. Or choose our recycled polymer (no color choice) for additional cost savings. Upon ordering, please specify if you want hand holes and/or drain holes.